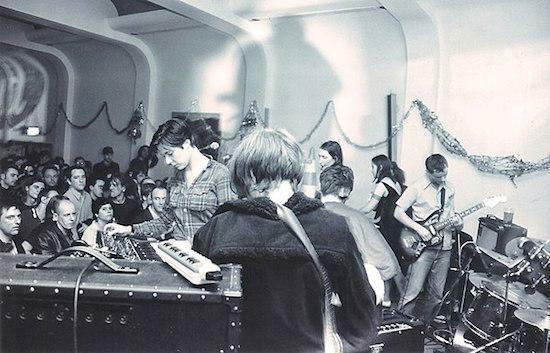 Could Stereolab be set to make their live return? UPDATE (December 5): Stereolab's first confirmed live appearance for 2019 will take place at Barcelona's Primavera Sound. You can find details and the full line-up for next year's event here. Stereolab have teased plans to return to playing live shows via a post on their website. "Stereolab will undertake an extensive reissue campaign covering albums from 1993's Transient Random Noise-Bursts With Announcements through to 2004's Margerine Eclipse, reads the post. "All seven albums will be reissued throughout 2019. Keep 'em peeled for news of the live return of Stereolab." The live shows would mark the first from the group, led by Laetitia Sadier and Tim Gane, since they went on hiatus in 2009. The impending reissues of the group's album output from 1993 until 2004 follows on from a trio of reissues for their Switched On series earlier this year.